This year’s Harvill Secker Young Translators’ Prize will be awarded to the translator who turns Mansoura Ez Eldin’s ليل قوطي into a wonderfully voiced English self. Or it could be awarded to translators: according to the entry form, joint translations (“by a maximum of two translators”) are possible. This year’s judges are translator Anthony Calderbank (Zaat by Sonallah Ibrahim, as well as Miral al-Tahawy’s first three novels), critic Maya Jaggi (The Guardian, TLS), novelist Penelope Lively (In Search of a Homeland, Family Album), and Harvill Secker editor Briony Everroad. Translators between the ages of 18-34 (on July 29, 2011) are eligible. That counts me out. It counts Mansoura out, too, although I imagine she’s disqualified for other reasons. 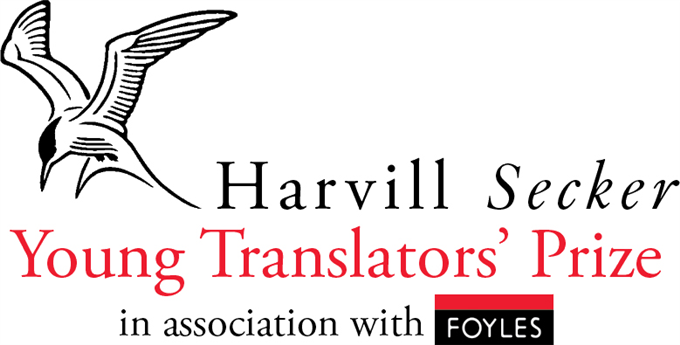 The winning translator will receive £1,000, a selection of Harvill Secker titles and “Foyles tokens,” whatever they are. And please note that you need Mansoura’s permission in order to publish your translation, as she maintains copyright and publishing rights. And then download the entry form. Ages 18-34 are eligible… Hm… You won’t make an exception for me? I’m 37 and a native speaker of Swedish (given my handicap). No, if it were, I would surely make an exception for myself, since I’m too old to be eligible, yet younger than you, old man.